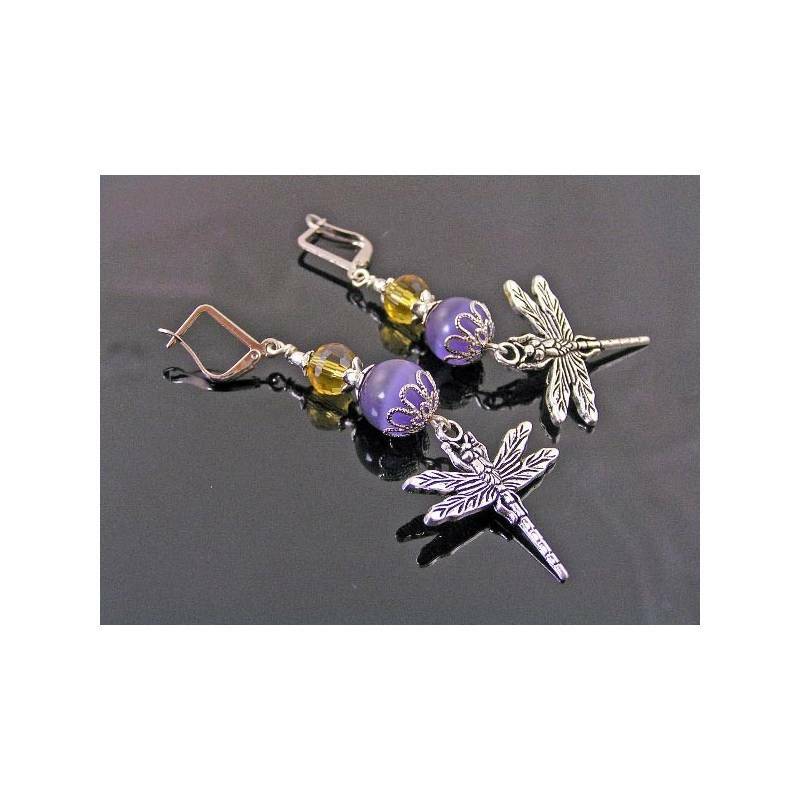 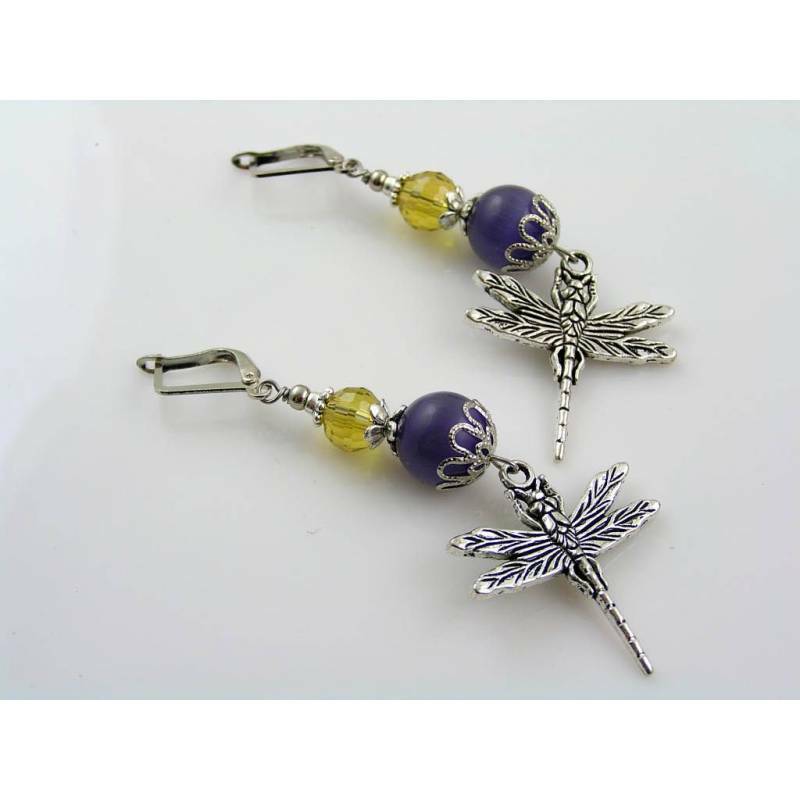 Large and eye-catching dragonfly earrings with purple cat's eye and yellow crystal beads. 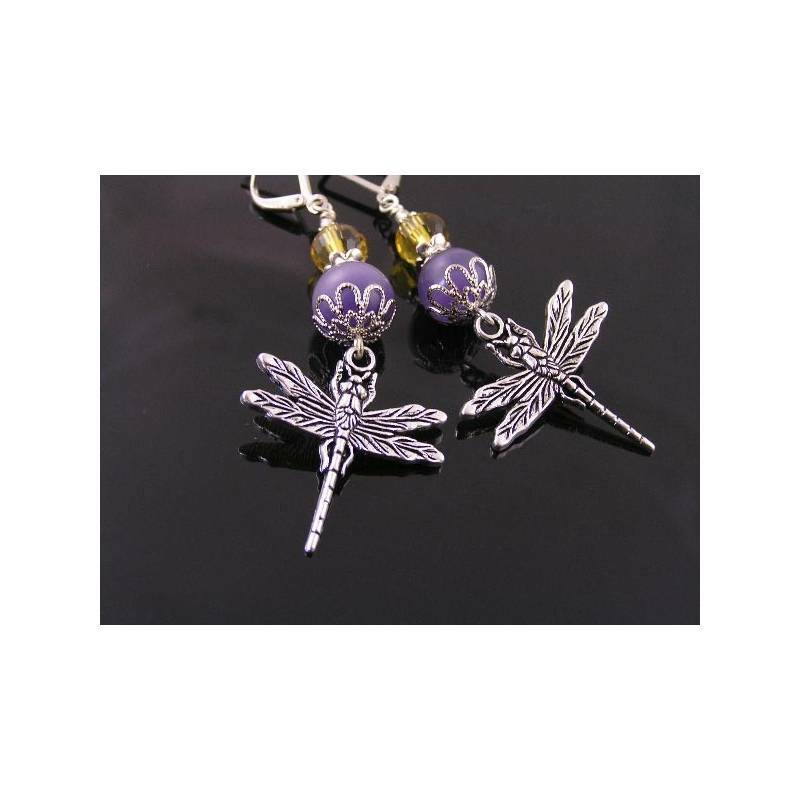 The dragonfly charms I used for these earrings are quite detailed and medium in size. 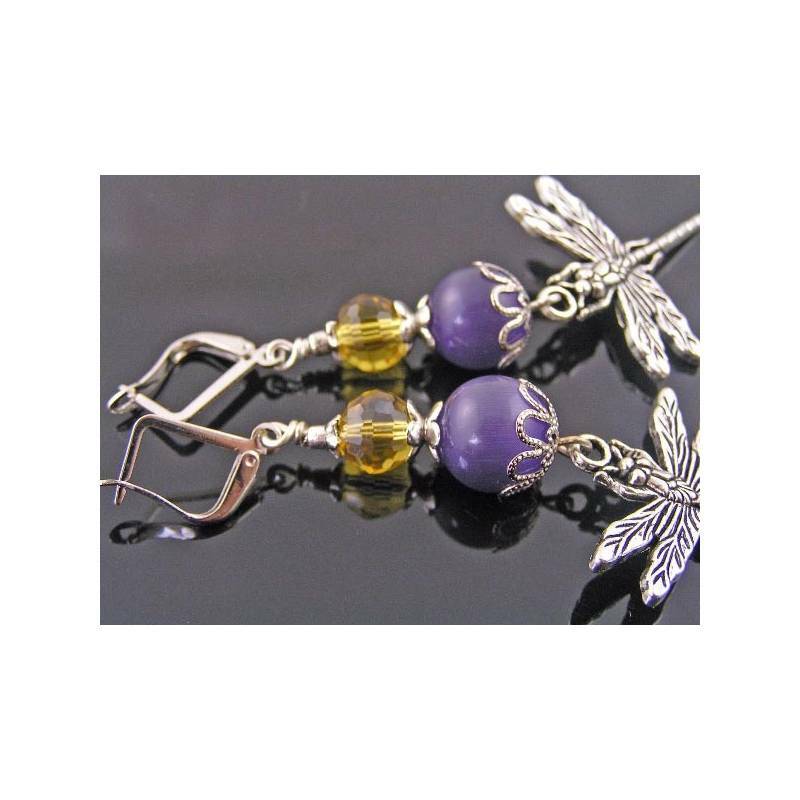 They are attached to edgy lever back ear wires via links with purple cat's eye and sparkling yellow crystal beads. 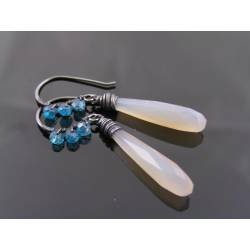 The cat's eye beads (glass) measure 12mm in diameter, the crystal beads 8mm. Both are framed with interesting silver bead caps. 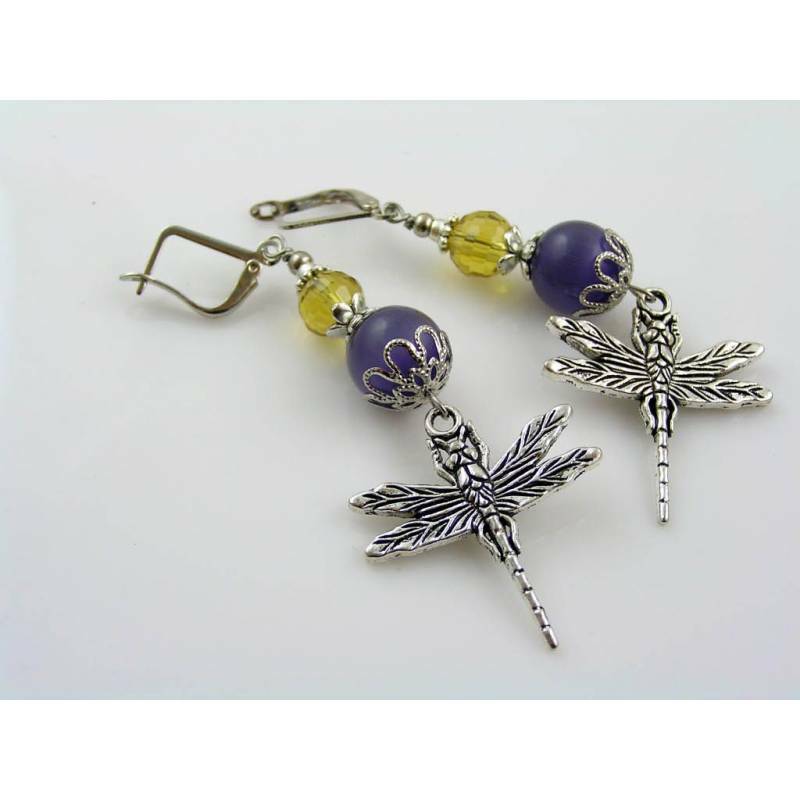 Total length of the earrings is 7.5cm, all metal is silver tone.